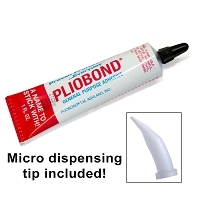 You will earn 17 WayPoints for each product that you purchase. 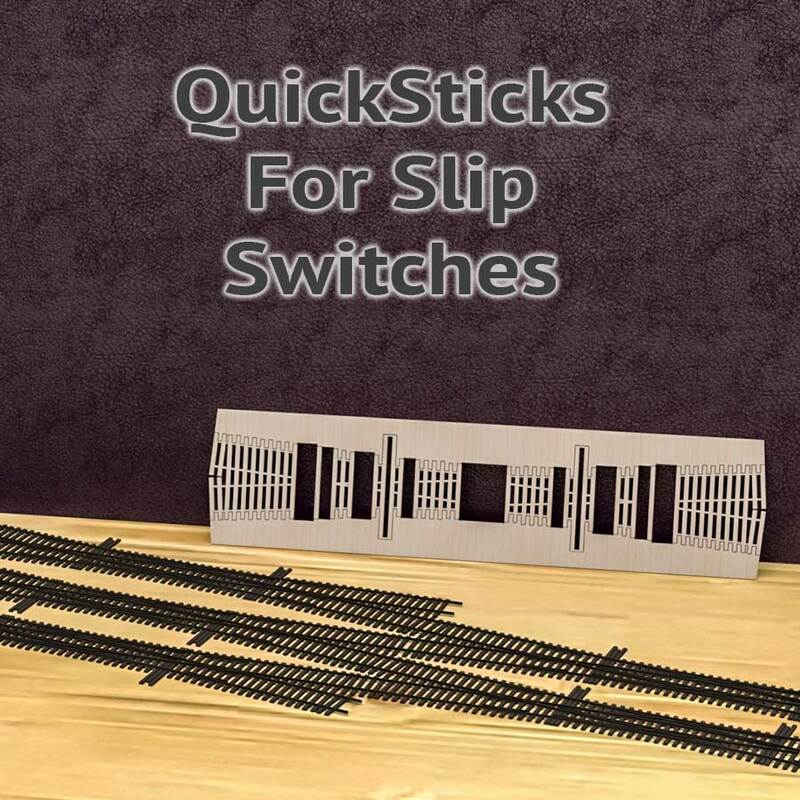 Specially designed for trackwork built with Fast Tracks assembly fixtures, QuickSticks laser cut ties lets you construct fully complete, ready-to-run S slip switches right at your workbench! Can Be Built Quickly - Build a fully complete slip switch in less than an hour! QuickSticks are cut from Baltic Birch plywood custom sawn in Finland specifically for Fast Tracks. 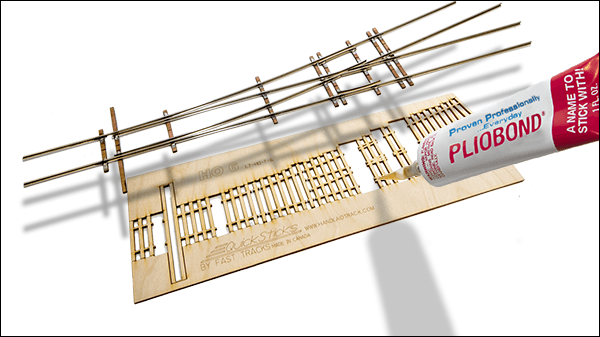 Just like the protoype, the wood grain on our QuickSticks ties runs perpendicular to the rails. 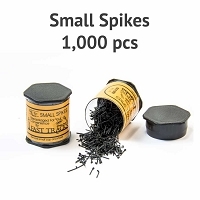 The ties are 0.1" (2.5mm), 7 scale inches thick and 0.14" (3.6mm) 9 scale inches wide. 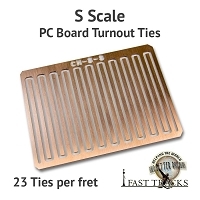 They will match all popular commercially available wood ties, including wood ties available from Fast Tracks. The ties will also match all popular commercial track, trackwork completed with QuickSticks will be compatibile with these products. Default Turnout Length 20.8" (528.3mm) This is the length of the Slip Switch on the QuickSticks. Measured from end tie to end tie. Minimum Turnout Length 13.9" (353.1mm) This is the shortest possible Slip Switch length. Measured from the end PC board tie to end PC board tie. Secondary Frog Angle 9.5° The second frog angle for any switch that has two frogs.